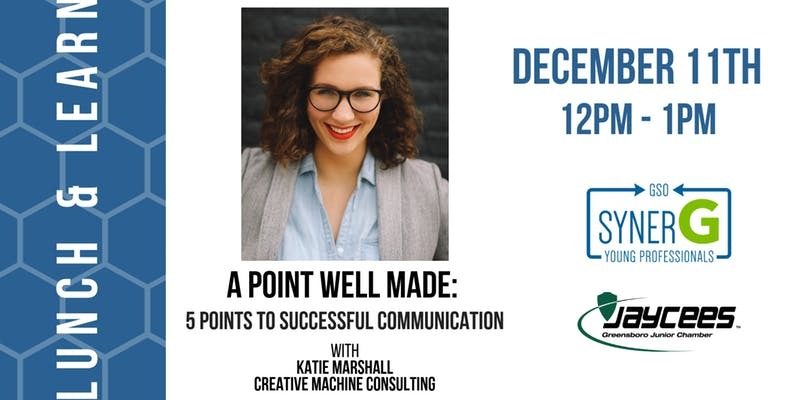 Join synerG and the Greensboro Jaycees for a Lunch & Learn series on communication with Katie Marshall of Creative Machine Consulting. A Point Well Made: 5 Points to Successful Communication – Everyone communicates, but not everyone communicates well. Join this raising awareness around and enhancing communication in team dynamics, one-on-one conversations, and presentations. 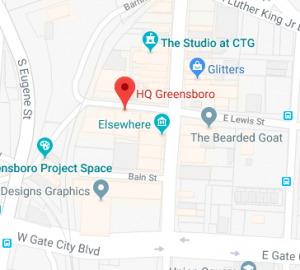 By the end of our workshop, you will know more about aligning your impact to your intent, speaking at the intersection of courage and adaptability, and delivering your message with professional authenticity. Save the date for Katie’s third presentation too! Registration for this will open at a later date.